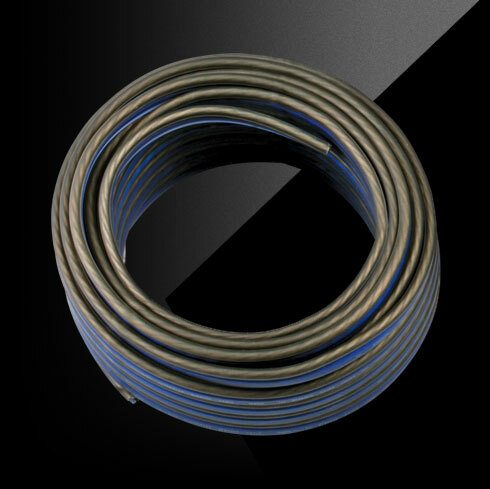 Q Series speaker wire is built for easy installation and sonic accuracy. The cable is silver-tinned and oxygen-free, with twisted pair configuration to reject system and engine noise. The PVC wire has two distinct shapes for positive and negative for easy installation. This 20-foot spool of 12 Gauge wire is the cleanest, most dependable signal cable. This Full Spec, Hyper Flex™ speaker wire can be identified by touch for easy install. The cables come silver-tinned and oxygen free for excellent signal transfer and sonic accuracy.